View 100% Pure Sass on Notist. A thoroughly enjoyable evening at #bbsessions, insightful talks from both @kaelig and @sturobson. 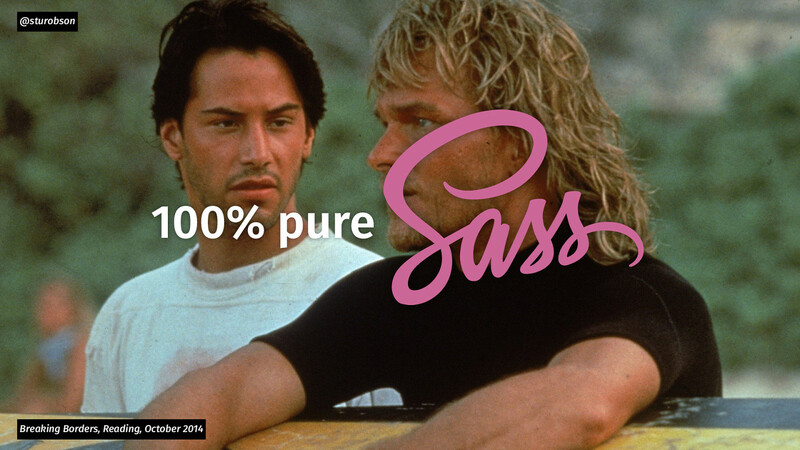 Sass is awesome. Confirmed.